We’re delighted to announce that Nathan Jansen (io, Baby Wants Candy, ComedySportz Chicago) will be joining us for Improv Mullet at the Kings Arms on Saturday 1st September. 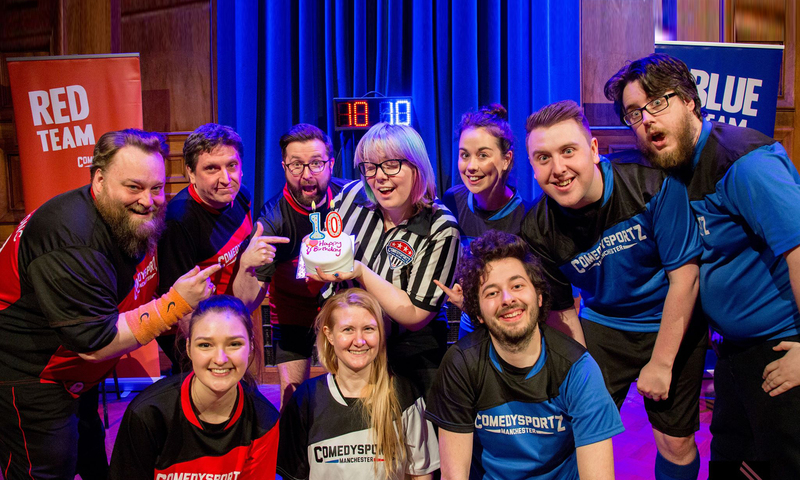 Fresh from playing to capacity crowds at the Edinburgh Fringe Festiv al, our team are ready to wow with quick-witted sketches and stories inspired by your suggestions. Why Improv Mullet? Because it’s short gags and games in the first half and long sketches and scenes in the second half. Free admission to anyone with a genuine mullet. Nathan will also be leading a one day workshop on Narrative Improv and limited spaces are still available. If you’re looking to build on your Improv skills then don’t miss this opportunity to learn from one of the best! We’re also running a two-day sketch writing course over that weekend and again, limited spaces are still available. Previous PostPrevious Edinburgh Fringe Update!